The Holiday Shop is an event the PTA puts on to give kids an opportunity to ‘secretly’ buy presents for their parents and/or siblings. Kids go into the Holiday shop without their parents and can buy presents and get them wrapped! We will also be having a Gift Card drive for those families in need in our own community. Please, if you are able, donate gift cards from local grocery stores in any amount. 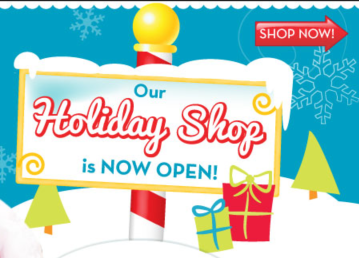 The Holiday Shop will take place in the All-Purpose room at TMES. This event needs volunteers to help set up, assist students shop, wrap gifts, break down, etc. SSL students are welcomed and encouraged to sign up for hours to volunteer at this event.